This exciting contemporary Electric fireplace suite with impressively Marble Fireplace is complete with matching back panel and 48" hearth in Sparkly White solid marble. The Marble Fireplace is the central attraction, The contemporary design make it simply one of the most dramatic marble fireplace surrounds on the market. This marble fireplace is particularly coveted by the discerning buyer looking for something tastefully stylish.... 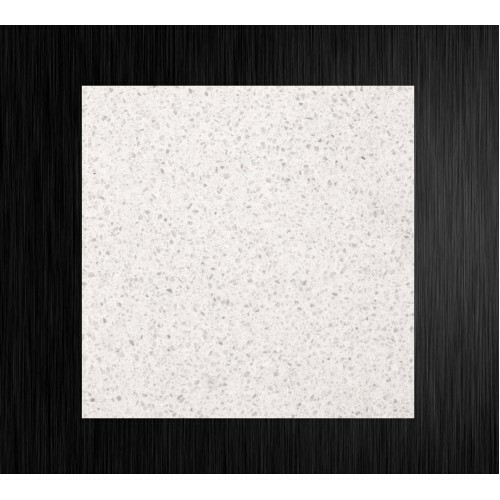 Solid marble Surround, solid marble back panel, solid marble hearth. Fabulous modern Contemporary design, Including down lights. 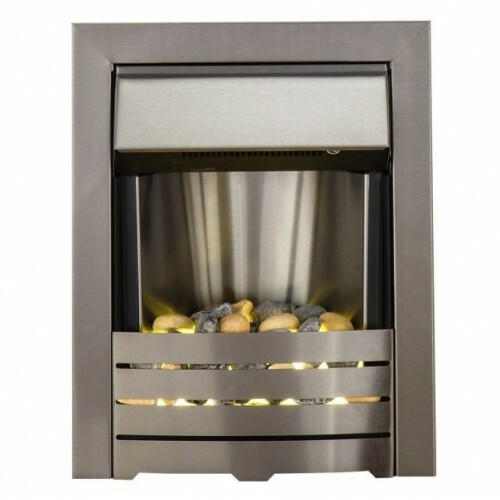 Complete Electric pebble Fire with Contemporary Brushed Steel trim, brushed steel body, natural pebble bed and warm, ambient glow effect, (Not Flame effect) it comes with four different settings: 1kW and 2kW heat output, along with glow only effect and cool blow features which makes this fire highly functional and versatile.